Active learning can select most informative unlabeled samples to manually annotate to enlarge the training set. Many active learning methods have been proposed so far, most of them work for these data that have all classes of tagged data. 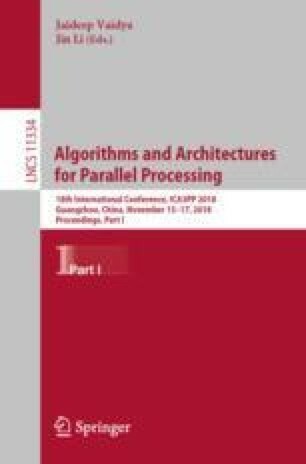 A few methods work for positive and unlabeled data and the computational complexity of existing methods is particularly high and they can’t work well for big data. In this paper, we proposed an active learning approach that works well when only small number positive data are available in big data. We utilize data preprocessing to remove most of the outliers, so the density calculation is simplified relative to KNN algorithm, and our proposed sample selection strategy Min-Uncertainty Density (MDD) can help select more uncertain and higher density unlabeled samples with less computation. A combined semi-supervised learning active learning technique (MDD-SSAL) automatically annotating some confident unlabeled samples in the each iteration is proposed to reduce the number of manually annotated samples. Experimental results indicate that our proposed method is competitive with other similar methods. Supported by the National Science and Technology Major Project (2018ZX03001019-003), the National Natural Science Foundation of China (Grant No.61372088).